Living... as a captive of Sayid, at least when we first meet him. And Ben says his name is Henry Gale. 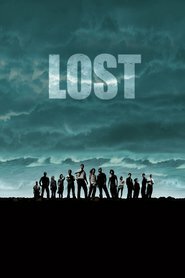 It soon becomes clear that’s not the truth when he escapes and is revealed to be the leader of the Others, another possibly dangerous group living on the island where Oceanic Flight 815 tumbled out of the sky. The crash survivors believed the island was deserted, but clearly that wasn’t the case. And Ben may have been on the island a lot, lot longer than any of them could have imagined. Profession... leader of the Others. Ben is a master strategist, but no one seems to know what that strategy’s endgame is. Hard to imagine it’s good, though, given how generally creepy he is. Interests… Walt, the youngest member of the Flight 815 survivors, who may or may not have gained supernatural powers. Fair enough; who wouldn’t want to know more about that? But why is Ben also obsessed with Claire’s baby, and with fertility in general? Relationship Status... single, or so it seems. Ben is father to a daughter, Alex, but it's not clear who the mother is. He’s clearly in love with Juliet, another pre-crash resident of the island, but perhaps he’s even more in love with his position as gatekeeper of information on the island. He loves to lead, to have followers, and to have power. But loving a significant other unconditionally seems beyond Ben. Challenge... keeping his true goals hidden for now so that he can hopefully manipulate the survivors well enough to achieve them before they turn the tables. It’s a delicate balance, being hated by the crash victims while simultaneously possessing everything they want. Ben clearly has contact with the outside world – he shows Jack video of the Red Sox winning the 2004 World Series. Can he get them off the island? Would he? And why does he stay there when he seemingly doesn’t need to? Personality... cold, calculating, intelligent, and scary. He has an unsettling way of talking, both in the idiosyncratic way he speaks and the occasionally terrifying threats he makes. Deep down, though, there seems to be some pain driving his icy decisions. That’s just one of many things the survivors are going to have to learn about him if they have any chance of staying alive – and getting home. Ben Linus's popularity ranking on CharacTour is #1201 out of 5,000+ characters. See our top-ranked characters and read their profiles.